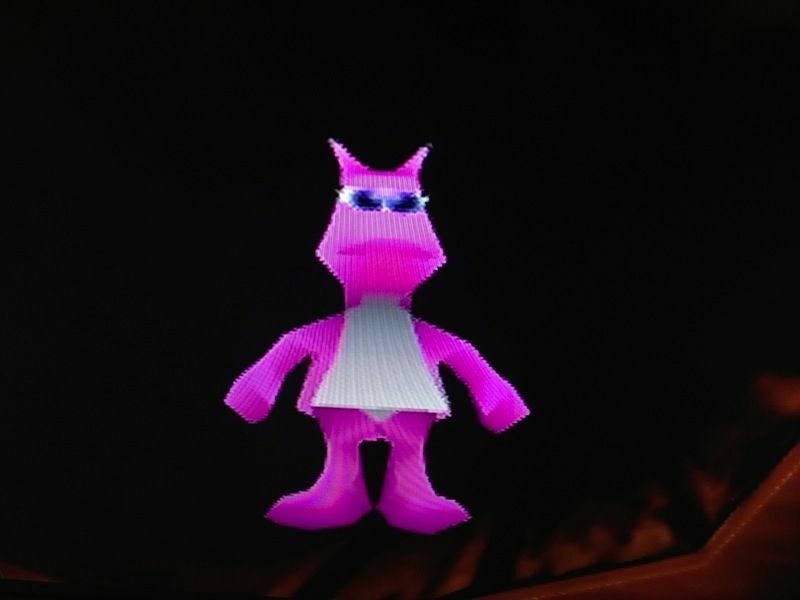 A Jinjo is a collectable character from the Nintendo 64 game Banjo-Kazooie, by the company Rare. There are 5 Jinjos of different colors on each of the 10 worlds, all of which the protagonists Banjo and Kazooie need to liberate from the evil witch, Gruntilda. These strange little creatures are often hidden well, and wave their hands with a whistle or "help!" to get the player's attention. Once the player has collected all 5 on a level, he or she is rewarded with a Jiggy (a puzzle-piece token of accomplishment that makes the player able to move on to subsequent levels).